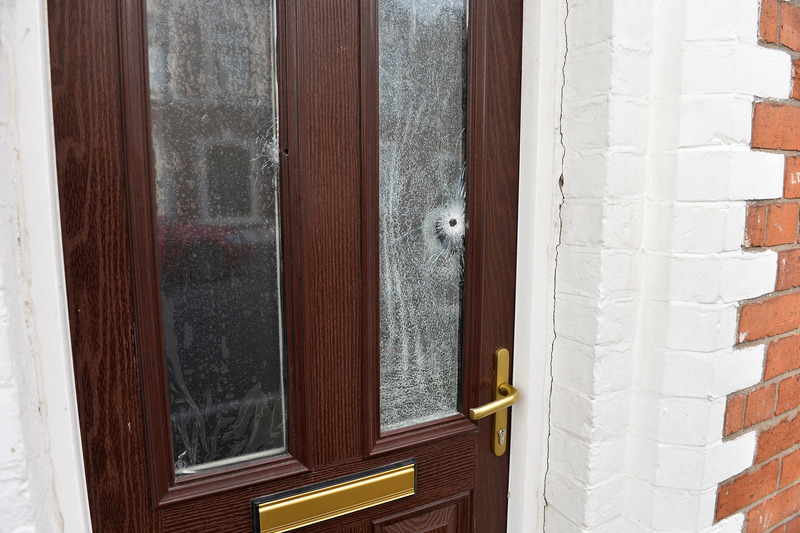 A bullet hole in the front door of a home. Picture credit Press Eye. SUCH is the prevalence of housing intimidation in Northern Ireland that official provisions have been made to cover intimidation in both the privately owned and rental housing sectors. The provision covering privately owned homes is the Scheme for the Purchase of Evacuated Dwellings (SPED). Following a SPED application, the Housing Executive tests it for eligibility before passing it to the PSNI. The Chief Constable then issues a certificate (below) if, following investigation, the application meets a threshold. Land and Property Services then assess the market value of the property, with a conveyance process for properties agreed for acquisition by appointed solicitors. The bulk of intimidation occurs in the rental sector. In these instances the Housing Executive offers Emergency Grant Payments of £754. This sum is paid upon the acceptance of an offer of alternative social housing. According to Alyson Kilpatrick, former human rights advisor to the Policing Board and author of its recent thematic review on hate crime, the continued prevalence of housing intimidation puts the entire system under pressure. "You are talking about a scarce housing resource," she said. "People who are intimidated out of their homes, whether that is rental or SPED, have to go somewhere else. Quite often they will go to temporary housing taking that resource away from other people who have been on a waiting list or are homeless for other reasons." Ms Kilpatrick also said that insinuations of abuse of the system have regularly been made. "From the time I was doing Housing Commission work we were getting quite a few anecdotal accounts of methods by which people may abuse the system," she said. "For example people sending threats through the post to themselves, suggestions that applications rose and fell due to market conditions. There was anecdotal evidence that some people may move out but then move back in to the same community very close to the previous home." However, the Housing Executive has identified no "verifiable evidence of abuse of the system", whilst DfC said such concerns were not the rationale for the proposed removal of points. "The Department is aware of speculation around the potential abuse of intimidation points," the DFC statement read. "However this speculation was not the motivation for proposing the removal of points from the system. The proposal aims to end the over-riding priority that intimidation currently takes over similarly serious and enduring circumstances. The removal of intimidation points will introduce a fairer and more proportionate approach to the allocation of social homes for all those in high housing need." In a statement the Housing Executive said: "The Housing Executive’s Tenancy Fraud Unit has been in operation since August 2014. Housing Applications referred for investigation have been keyed to an electronic record system from 1 August 2016. An examination of these cases on this system has found no instances of suspected fraud raised in regards to intimidation." Click here to return to the main article.